Directions: Follow the directions below in order to complete each step, and show Ms. Gately as you complete them. Directions: Match correct bases for 10 rounds. Directions: Draw the DNA molecule in your journal and label the image! Directions: Use the DNA replication worksheet to follow along with the animation & video, and fill it out as you go. Homework: Watch EDpuzzle video called "The twisting tale of DNA" and take 10 notes in English in your journal. 2. 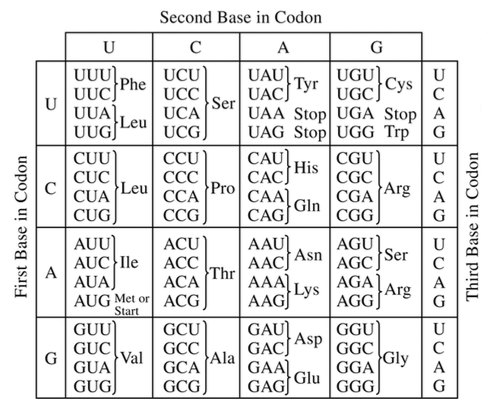 Complete DNA and Genes worksheet, using yesterday's notes. ​3. Complete the "Transcription & Translation" EDpuzzle. These are very important notes so make sure you watch the video carefully and write all the notes that have the star (*) next to them! 6. Homework: Watch this video on EDpuzzle & youtube (with Spanish subtitles) and write 5 important notes about mutations. Directions: Complete the steps in order below. Work in pairs using one computer, but everyone fills out their own worksheet. Use the Google Translator to copy (CONTROL + C) and paste (CONTROL + V) any words or directions or website you need clarification on, in Spanish. HINT: When a word is highlighted in blue, that means it is a link and you should click on it. When words are underlined, this means it is a worksheet that Ms. Gately will give you. If it is in purple, you write the words in your journal. Instrucciones: Complete los pasos a continuación. Trabaje en pares usando una computadora, pero cada uno llena hacia fuera su propia hoja de trabajo. Usa el Traductor de Google para copiar (CONTROL + C) y pegar (CONTROL + V) cualquier palabra o dirección o sitio web que necesites aclarar, en español. SUGERENCIA: Cuando una palabra está resaltada en azul, significa que es un enlace y debe hacer clic en él. Cuando las palabras están subrayadas, esto significa que es una hoja de cálculo que la Sra. Gately le dará. Si está en púrpura, escribe las palabras en tu diario. 1. Watch this video. Make sure to turn on Spanish subtitles by clicking on the little gear that represents "Settings." 2. Use this quiz to fill out your respiratory system labels worksheet. 3. Once your sheet is labeled, you must take the quiz until you receive 100%, then show Ms. Gately and she will sign your sheet. 4. Use the following websites to fill in the functions on your respiratory system organ functions worksheet. Just write the first sentence of the definition for each organ. Make sure to complete the short activity each time as well. ​5. Get a small square picture of an alveolus from Ms. Gately. Use the animation below to label how the oxygen (O2) and carbon dioxide (CO2) move in/out of the alveolus and the capillary (blood vessel). --> Alveoli are the site of gas exchange with the blood, where oxygen (O2) diffuses into the capillary (smallest blood vessel) from the alveoli, and carbon dioxide (CO2) diffuses into the alveoli from the capillary. 7. Tape the picture of an alveolus into your journal, next to the notes above. 8. Tape the two other worksheets into your journal, and have Ms. Gately check your work. 9. Complete the MCAS Open Response on the Respiratory System for HOMEWORK tonight. ​2. Use this animation to fill out the labels on the Cardiovascular System sheet. Move the mouse over any part and write the label. 3. Use this website to write notes for each type of blood vessel at the bottom of the Cardiovascular System worksheet. Just use the green titles as your notes. 4. Use this image to describe systole and diastole. 6. Turn your worksheet over and fill in the blanks on the Circulatory System worksheet. 2. Draw the simple version of this image in your journal. Make sure the two parts are different colors, like the picture. 4. 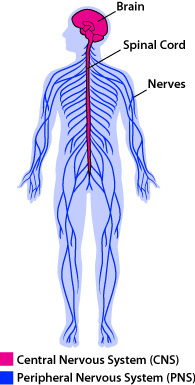 Draw this neuron and all its labels in your journal. 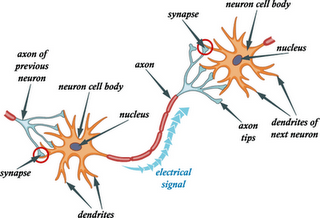 Then add the start of another neuron using this image, to show how a signal is passed from neuron to neuron. 6. Play these games to see how fast your relfexes are! This is how quickly your brain sends a signal to your finger! 4. On a new journal page, write The Urinary System at the top, and then use the top half of the page to draw and label this image of the Urinary System.